Two cruises in less than sixty days? Not entirely unusual for us, but this experience on the Norwegian Sky was a departure from usual in numerous, positive ways. 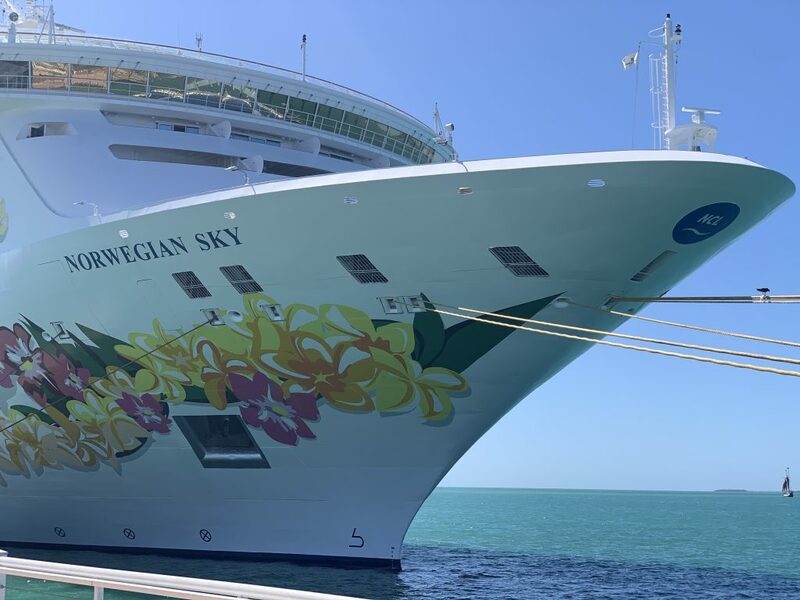 We eventually settled on a 5-day February 2019 voyage that met both timing and budget requirements, and surrounded it by two days in Miami – one day before and one after the cruise. Sky also offered a unique opportunity to compare our recent experiences with the newfangled, race-track-equipped Bliss. The Sky is one of Norwegian’s oldest ships in service – possibly the oldest depending on how you calculate Spirit’s age. Fortunately for us, our sailing was the second to happen after a dry dock from January 22 to February 7, which meant that a good portion of the ship would be newly refurbished and ready for us to enjoy. 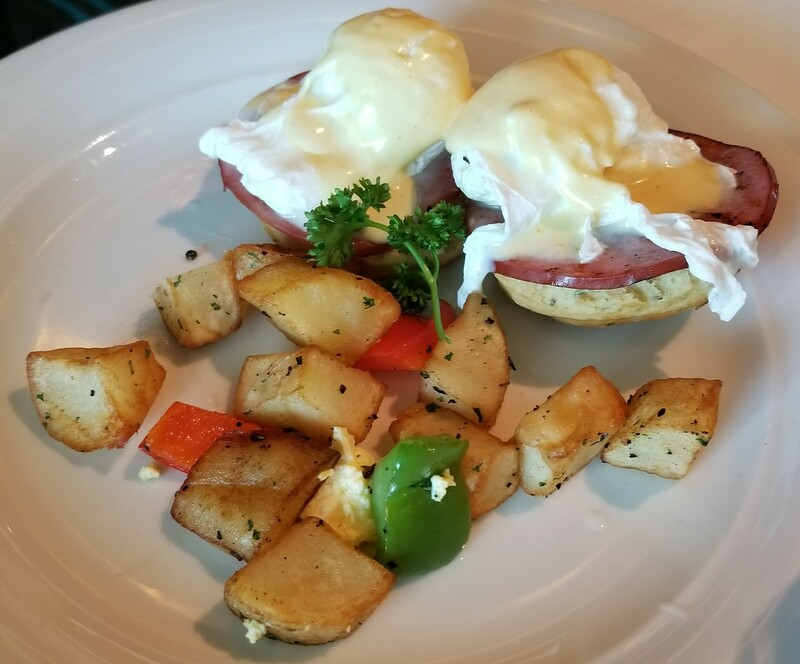 The age and smaller size of the ship did not diminish our enjoyment, and we had a number of “Vacation Hero” experiences where staff and crew went above and beyond to make things stress-free and provide excellent service. It’s a tough decision as to whether this takes the title for “best cruise” for me, since other NCL cruises we’ve taken have their unique high points. If you’re debating Sky, though, assume that any review prior to February 2019 is prior to refurbishment, and give this ship a fair chance. My only regret is that we didn’t have a longer cruise. As summer started disappearing in Southwestern Ontario, Kayla and I began to pine for another week on the ocean featuring better temperatures. With some finagling of work schedules and liberal use of credit card travel points, we secured an inside cabin on the new Norwegian Bliss for the week before Christmas. This was our fifth NCL cruise, and the combination of ship and staff made it arguably the best sailing we’ve been on. We’ve gotten into a good position with pre-trip planning and now have a decent handle on Norwegian’s processes and amenities. Bliss is a decent refinement of the Breakaway class, so it was fairly easy to navigate having been on similar ships. After finally publishing the 11,000-word epic that was the NCL Getaway review, I found there was far too much content for friends, well-wishers and Reddit stalkers to tolerate, even when split into seven parts. Perhaps I should have called it – BuzzFeed clickbait style – “7 Weird Things You Must Know About Cruising Or You’ll Fall Off The Ship!” Of course, then I’d have to pad the content with ads and create a quiz to find out which ship best represents you. 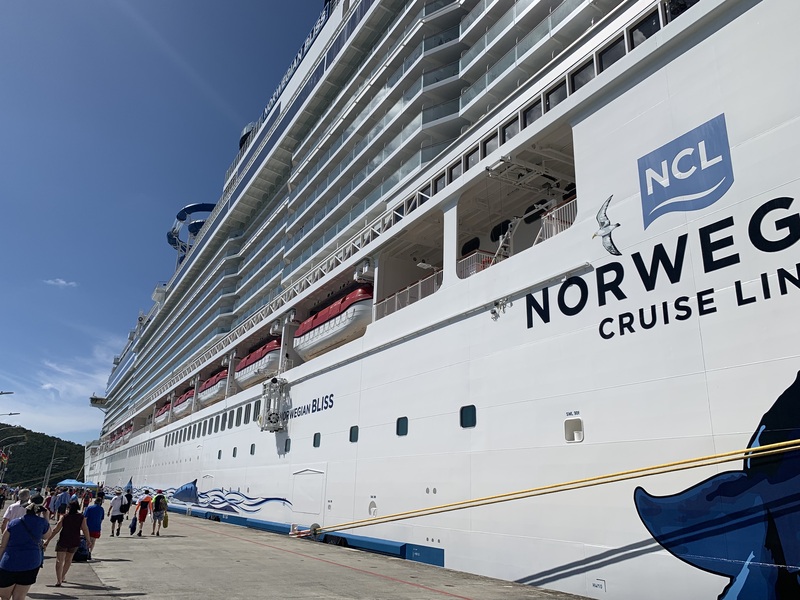 This review of our cruise on Celebrity Infinity to Alaska is about half the size, and will involve a number of comparisons between Norwegian Cruise Line and Celebrity Cruises (since those are the two lines we’ve sailed on so far.) I’m definitely glad we did the cruise with Celebrity, even at the least so I have a better idea of a premium RCCL product, as well as an understanding of what older, slightly smaller “hardware” has to offer. I would likely sail Celebrity again if the right opportunity presented itself, but with a few changes based on this experience. My wife Kayla was a bit more negative on Infinity, mainly due to the constant upsell of specialty dining. Our last full day was at sea, involving a trip to the buffet for both breakfast and lunch. Again, there was nothing exceptional to point out at either meal, but both of us didn’t have any complaints about the food. We always seem to find quite a few things we like and the buffet has no shortage of options. It seemed like the bar stock at the Garden Cafe had deteriorated by lunchtime as there was a much more limited selection of beer available. Other bars didn’t seem to have the same issue throughout the day but it was a noticeable change upstairs, possibly indicating the impending end of the trip. In the early afternoon we did a circuit of the Waterfront on deck 8, finding the Sugarcane Mojito Bar to be too windy, and the Sunset Bar to be less of a sunset and more of an oven-like heat and light experience. Kayla went to try and find a seat with a happy medium between the two extremes, while I milled around the Sunset Bar. Another indicator that the cruise was wrapping up was that the bartenders were actively soliciting people to fill out comment cards. 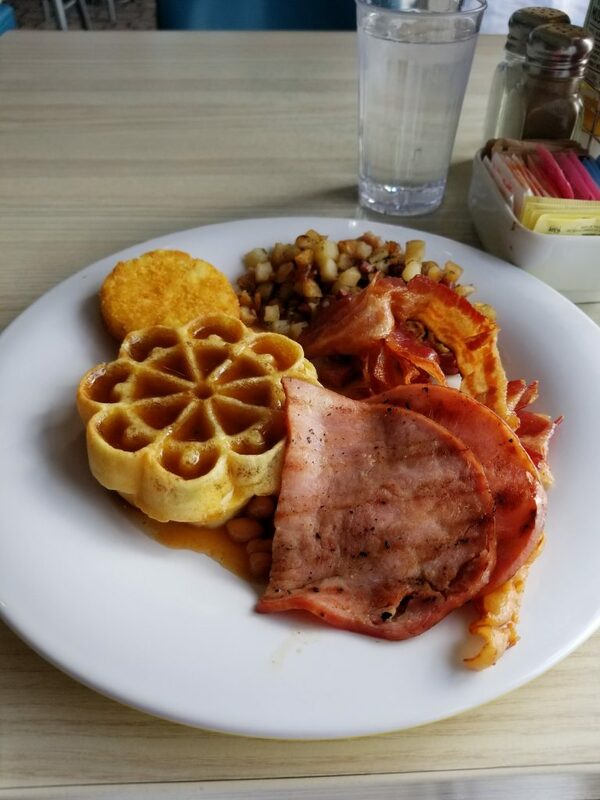 Awoken to the rattling of the VOIP/PoE phone across the desk, and combined with the time change of minus one hour, Kayla and I were able to rouse ourselves in enough time for a full service breakfast at Savor. She selected the Eggs Benedict, and I chose the eggs to order (over easy) with a side of link sausage. It was a fairly standard breakfast offering, but nothing to complain about. The title of this section comes from a TripAdvisor review (filter by 3 star/Average) in which the reviewer is unimpressed with the Chacchoben Mayan ruins, declaring them “a pile of rocks”. I mean, points for calling it like you see it, but they’re historic rocks – what exactly were you expecting? The docking process this morning seemed unreasonably lengthy and loud, but I’m only an amateur and any loud noises in the morning have been a subject of contention since a very early age. Before disembarking, we went to the buffet and acquired some food. 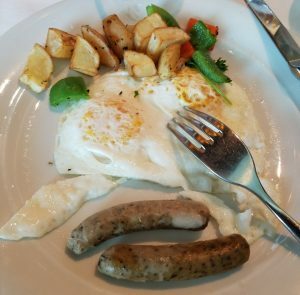 I’m not typically a breakfast person, but made a good attempt as it wasn’t clear when lunch would be offered on our tour. One noticeable omission from the morning buffet was bananas, which I’d figured would be a standard and highly available breakfast item, but none were to be seen. Of course, I didn’t actually ask anybody, so this could just be chalked up to early-morning grogginess. Keep in mind that in general, you can’t take food off the ship into the ports lest ye incur the wrath of vessel security and foreign customs officers, so that “apple to go” better be down to the core and ready to be pitched by the time you’re on the lower decks. After checking out of the Residence Inn, we caught an Uber to PortMiami for $21US and went through the entrance at Terminal B, which was being used to board all the odd-numbered passenger decks (eg: 5, 9, 11, 13 and 15) – Terminal C had the even-numbered floors. The ride to the port was 27 minutes, and it took us about another fifteen minutes to get through security and half-way through the check-in line on the main floor – so I’d estimate we spent about half an hour total waiting before getting on the ship. Despite our experience with NEXUS cards being the key to avoiding confusion in Port Canaveral, the port agent in Miami wanted nothing to do with them and didn’t even flip past the picture page on our passports. I guess the next approach will be to offer both passport and NEXUS, and see what the agent prefers for identification and immigration purposes. We were issued ship keycards with the appropriate indicators for our dining and beverage packages, which I would suggest is a key thing to verify before leaving the check-in desk. Later on in the day, a few folks at the bar in front of us were missing the package codes, and told that they’d have to go wait in line at Guest Relations to get a sticker. Thanks for joining as I discuss our long-promised, often-delayed February trip on a ship! We make it to Miami, the Western Caribbean and back again to the extremely odd weather of Southwestern Ontario. 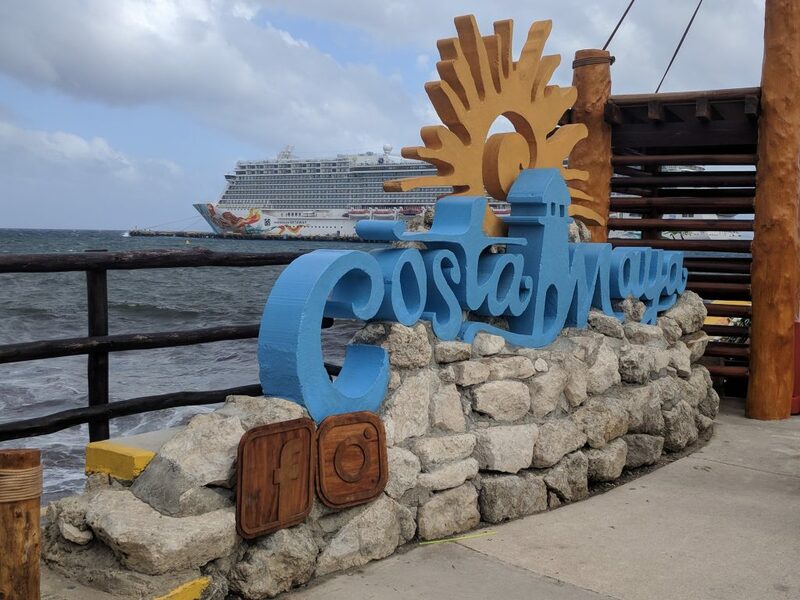 As previously mentioned in my December 2017 NCL Epic review, we partook in the Norwegian CruiseNext Ultimate program, bought some deposits and used one of them on the February 18 sailing of the Getaway to coincide with Kayla’s week off. To avoid burying the lede even further, of our four total cruises with Norwegian, this was probably the best experience we’ve had so far. Everything lined up very well; the Getaway offered everything we like in a ship; and we had a great time before, during, and after the cruise.